One of the most maneuverable non-premium aircraft in the game. Shortest turn time of all aircraft w/o equipment. Decent single-shell damage for its armament. Better altitude performance & top speed than A6M2. Fewest hitpoints of all tier V aircraft. Has the same amount as the tier IV BF 109B. Only 2 guns, though they are both 20mm. Half as many guns as A6M2. Autocannons have shorter range than those that the A6M2 can mount. Prototypes for the Ki-43-II flew in February 1942. The Ha-25 engine was upgraded with the 2-stage supercharger, thus becoming the more powerful Nakajima Ha-115 engine, which was installed in a longer-chord cowling. The new engine turned a three-bladed propeller. The wing structure, which had suffered failures in the Ki-43-I, was strengthened and equipped with racks for drop tanks or bombs. The Ki-43-II was also fitted with 13 mm armor plate for the pilot's head and back, and the aircraft's fuel tanks were coated in rubber to form a crude self-sealing tank. This was later replaced by 3-layer rubber bladder, 8mm core with 2mm oil-proof lamination. The bladder has proven to be highly resistant against 7.7mm bullets, but was not much effective against larger calibers. The pilot also enjoyed a slightly taller canopy and a reflector gunsight in place of the earlier telescopic gunsight. Nakajima commenced production of the Ki-43-II at its Ota factory in November 1942. Production was also started at the Tachikawa Hikoki KK and the 1st Army Air Arsenal (Tachikawa Dai-Ichi Rikugun Kokusho), also at Tachikawa. 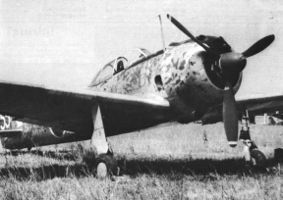 Although Tachikawa Hikoki successfully managed to enter into large-scale production of the Ki-43, the 1st Army Air Arsenal was less successful - hampered by a shortage of skilled workers, it was ordered to stop production after 49 Ki-43s were built. 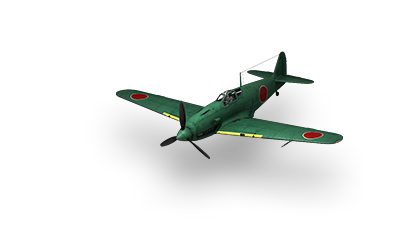 Nakajima eventually ceased production in mid-1944 in favor of the Ki-84, but the Tachikawa Hikoki continued to produce the Ki-43.